Conor McGregor is clearly a very talented athlete and from humble beginnings what he's achieved is the stuff of Hollywood movies. He is reported to have made $100 million from the Mayweather fight alone. Much like boxing, the UFC is often full of bravado and it can be argued that's what helps contribute to the compelling match ups and rivalries that develop within combat sports. The Mayweather vs McGregor fight had more 'press tour' than fight and so it's clearly a tactic that pays off, even if it does come across as unsavoury at times. As it happens McGregor represented himself rather well in that fight, which wasn't really something many anticipated beforehand. He does often back up his own talk with results. There are aspects of good fortune to all of this too. McGregor isn't undefeated, and so to have huge money fights fall into his lap and for the stars to align in such a way that there are these cross over events is partly down to luck rather than any kind of masterplan. From McGregor's own behaviour outside of the ring, we can see that thinking about his actions isn't always at the forefront of his mind. 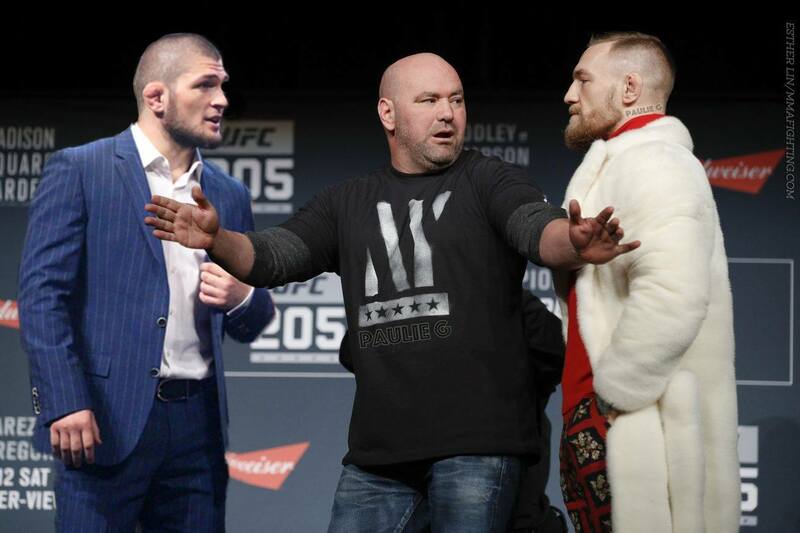 He's carried his tried and tested braggadocious, confrontation persona into the Khabib fight too - trotting out the mind games that he feels will both boost his bank balance (and they will!) and allow him to get into the head of his opponent is the order of the day. The potential downfall in this strategy may well be a combination of the fact that he doesn't really even need to be there, and being out of the ring for two years. Is the hunger still there? He may well gain a lot of confidence from his past successes and showman ways, but that's not of any use once he's in the Octagon. We've often seen what happens in boxing for instance when a fighter's ego is intact but ability is diminished after a break from the ring. Nurmagomedov's grappling game is second to none, he's undefeated and seems prepared to let his performance on the night do the talking. If McGeogor's trademark speed and power remains it could be lights out, but many believe that his opponent will try to take this to the ground fast, and go to work, making for a difficult night for McGregor. This is a tough fight to call and the odds reflect that. Khabib is currently 5/8 on the exchanges and I'd be inclined to go for that if I was betting on the fight. The 17-1 for Khabib to win in round 4 is tempting too, considering he'll likely try to smoother and tire McGregor. Whatever happens, it's likely to be a very lively encounter!